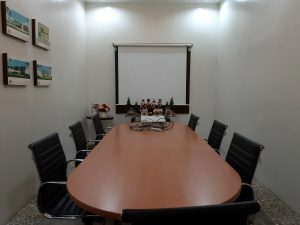 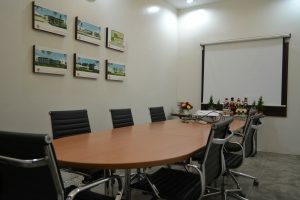 Meetings, proposals, and other important discussions are held here in the well-equipped conference room. 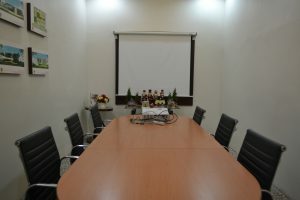 The table sits seven people, and there is a projector ready to be used. This is to make sure that administrators and professors have the chance to discuss important matters properly without any complications.